Construction Accidents - The Gerardo Cantu Law Firm, P.C. Have you or a family member been involved in a construction accident? The law is clear. You have the right to seek compensation for lost wages, pain and suffering, the cost of medical care and more. I will help you seek the compensation you need. I’m bringing more than 12 years of experience to every case we handle and can help you through these difficult times. You pay nothing unless we win your case. At the personal injury law firm of The Gerardo Cantu Law Firm, P.C. 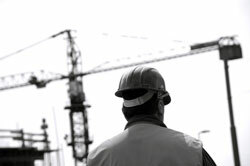 in Houston, Texas, we handle all construction accident cases on a contingency basis. Investigation is a critical step in construction accident cases. These are complicated cases. There may be multiple reasons as to why the accident occurs, with a variety of parties holding some portion of the blame. Only through careful investigation will we know which parties to seek compensation from. Sometimes, it’s not just the employer that is responsible. Sometimes, it’s another company that was working on the same construction site. Sometimes, it’s the manufacturer of a defective piece of equipment. Our lawyers can unravel the facts and find out who caused a construction accident. We will immediately begin an investigation using the most experienced experts to find the cause. Time is critical in documenting. Let us start immediately. Whether an accident was caused by another subcontractor, a defective product used on the construction site or the gross negligence of the construction company, we can help. Contact us for a free consultation: Call us or send us an e-mail. Get in touch with us today to discuss your construction accident with an experienced attorney.